Word Environment Day events at FRIM, KL. 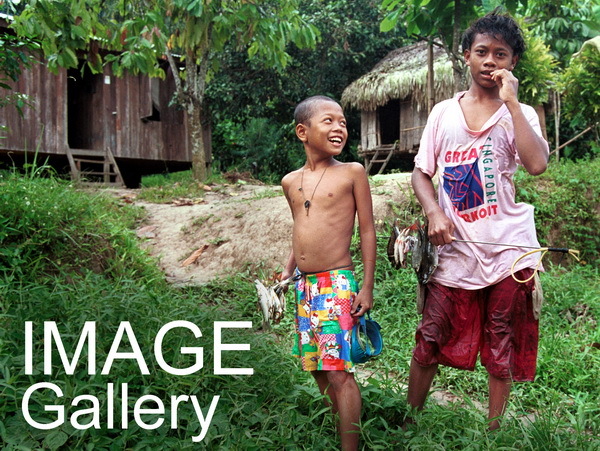 The Orang Asli, Peninsular Malaysia's first peoples, frequently come under criticism for their system of agriculture, often derogatively referred to as ‘slash-and-burn' or ‘shifting cultivation'. The accusation is that the Orang Asli's practice of this form of agriculture is the cause of much forest destruction. This is a myth which unfortunately has become to be believed by those unfamiliar with the ecologically-appropriateness of Orang Asli swiddening. Sadly also, those who should know better – planners, foresters and national leaders – unethically perpetuate the myth for their own reasons. First, it should be stressed that not all Orang Asli practise this form of agriculture. Many live in permanent settlements and are involved in commercial agriculture. Some are fishermen. Others work for a wage. While it has been estimated that about 40 percent of the 84,000 Orang Asli in Peninsular Malaysia live within forested areas or along the forest fringe, not all of them practise ‘shifting cultivation'. Yet, somehow, whenever a scapegoat is needed for the high rate of forest destruction in our country, the finger is pointed at the Orang Asli (and the native peoples of Sabah and Sarawak). Swiddening, or rotational agriculture, has long been the accepted mode of agriculture among indigenous communities living within or close to forested areas. The fact that such a form of agriculture has been around for centuries without any adverse effect to the environment, in itself attests to its viability as a scientifically-sound method of forest utilisation. On the contrary, much of the reports of forest destruction only came to light in recent years, coinciding with the increased rate of logging brought about by greater greed and increased levels of mechanisation in the industry. A recent joint Harvard-UPM study into agricultural expansion and forest destruction revealed that less than 1 percent of deforestation in Peninsular Malaysia has been attributable to Orang Asli ‘shifting cultivation'. Yet, it is not logging and other ‘development' activities that get the blame for the loss of our forest resources but the Orang Asli. Whenever scapegoats are required to divert the blame for the destruction of our forests, the Orang Asli are convenient targets. The case of the Perak Forest Department is an excellent example of how statistics are cooked up just to project this myth. In 1991, the Perak Forestry Department made yet another widely publicised statement that the Orang Asli were largely responsible for destroying forests in the state. It claimed that the total area destroyed by shifting cultivation to date was 22,000 hectares. However, the Department had obviously not done its homework well when it decided to place the blame on the Orang Asli. This is because it had stated in 1989 that 25,000 hectares had been similarly destroyed prior to that year. That is to say, in the intervening two years, there was, according to the Forestry Department, an actual decline in the total cumulative area destroyed by swiddening! Are we then to conclude that in two years some 3,000 hectares of forest allegedly destroyed by the Orang Asli in Perak have regenerated to their original state? If so, the Orang Asli should be commended for this feat, instead of being blamed for forest destruction. In any case, to further reveal the unreliability of its statistics, the Department estimated that the 22,000 hectares so destroyed before 1991 had caused the state a loss of revenue to the tune of RM93.4 million. When the claim was 25,000 hectares in 1989, the estimated loss in revenue was only RM22.2 million. Thus, we are asked to believe that despite a decline in ‘forest destruction' by the Orang Asli by 3,000 hectares over the 1989-1991 period, the estimated loss in value to the state increased by RM71.8 million for the same period! Simply absurd, but not if you are in the business of cooking up statistics to support a myth. In another report, the Perak Forestry Department admitted that the rate of (legal) logging in the state had been 12,000 hectares annually. That is, in just two years Perak's forests would be logged to the extent equivalent to the area "destroyed by shifting cultivation" since time immemorial. And yet logging activities get off scot-free. Government statistics, on the other hand, show that the area under swidden agriculture in Peninsular Malaysia actually declined from 7,934.6 hectares in 1966 to 5,298.0 hectares in 1984. The Deputy Prime Minister has also revealed that for the 1986-1990 period, the area logged annually in Peninsular Malaysia was 71,200 hectares. This works out to 356,000 hectares over the five year period! That logging is more responsible for the destruction of our forest resources should therefore be clear to all. Especially if the logging is only a preclude to more agricultural expansion. And to say that traditional swidden agriculture is responsible for our current environmental woes is to deny the Orang Asli the credit that is due to them for having developed an ecologically-stable, scientifically-sound system of subsistence agriculture. Perhaps, it is necessary to describe briefly what ‘shifting cultivation' involves and let you judge for yourself how "destructive" it is. Orang Asli rice fields are always cleared in the dry season. These fields, usually no more than 30 minutes trek from their homes, range from 0.1 hectare to 0.6 hectare in area per plot. Two to five families would often work a plot. Plots are selected such that as few trees as possible would need to be cut – simply because more work would be involved otherwise. Fields are also selected such that trees of economic or food value are not affected. The felled trees are left to dry where they fall. Thus a seemingly haphazard pattern of fallen logs criss-crossing the plot dominates the scene. This is done to ensure that the top soil remains in the plot in the event of a downpour. Contrast this to method used in the clearing of forest areas for land schemes: the top soil is scraped off by heavy machinery and the logs dumped in a depression or in a pile, leaving the distinctive red-soil look of the new land clearings, and causing erosion and siltation of watercourses. The fact that the fields are cleared during the dry season also helps to reduce erosion and loss of the fertile top soil. When it is time to burn, again the driest season is selected to ensure a successful burn. The heat of the burning debris acts to sterilize the top soil, killing all organisms that can cause plant disease. The ash residue also serves to fertilize the soil. Burning of rice fields are never a fire hazard because the surrounding lush forest puts a stop to the spread of fire. On the contrary, the huge fire that destroyed large parts of Kalimantan in 1991 is believed to be the result of deforestation brought about by unchecked logging. In such areas, logging activities expose the usually moist and incombustible growth to the sun thereby making it easily combustible. The discard of logging remains after the good logs have been extracted is also a source of combustible material. Once the fields have cooled down, or at the onset of the first rains, the seeds are sowed. A wide variety of crops are grown apart from hill rice: cassava (tapioca), cucumbers, tobacco, chillies, tomatoes, melons, maize, squash, gourds, and other vegetables. Fruit trees of economic value, such as petai and durian, are also planted then. Within a few days of the first rain, the ashened fields give way to green growth. In about a month, total plant cover of the field is achieved. Again, in an attempt to prevent erosion, the crops are grown in a seemingly haphazard manner, usually with padi and cassava intercropped, and with the vegetables grown in the most fertile area. Even with padi, a number of varieties are grown. In 1984, in a study of rice fields in two areas in Pahang, I found that at least 16 varieties were grown between the two. The various varieties are grown as a kind of insurance against crop failure as well as to ensure soil stability. For example, certain rice varieties may have a good yield but its root system is unable to withstand strong winds. Another may be sturdy but its yield is not satisfactory. Varieties of glutinous rice are also grown, often for use in ritual feasts and ceremonies. The food crops, in the meantime, are also a source of food for various animals and birds, though being pests to the Orang Asli. During the sole weeding exercise that is carried out about 6 weeks after planting, the weeders are careful not to weed out seedlings of forest trees. Harvest (of vegetables and maize) usually begins about three months after the planting. The padi is harvested after about six months. This is tediously done by hand. The ears of padi are carefully cut with a hand-held harvesting knife. The harvester tramples the padi stalks as he progresses along the field. This provides a straw-cover of the field, thus protecting the soil from the erosive potential of the hard rain. The straw will also decompose to provide fertilizer for the harvested field. Generally, secondary forest growth takes over completely in 6 to 12 months. After a year or two, the fields begin to take on its original form such that to an unfamiliar observer, the old fields cannot be differentiated from the surrounding forest. It will be 10 to 15 years before it reverts to forest again. This means that the ricefield would be ready for replanting in 10 to 15 years, the traditional rotational cycle of this form of agriculture. Thus, for the kind of terrain, for the level of technology, and for the type of crops grown, the traditional rotational system of agriculture of the Orang Asli has been shown by scientists to be the most ecologically-sound and efficient method. 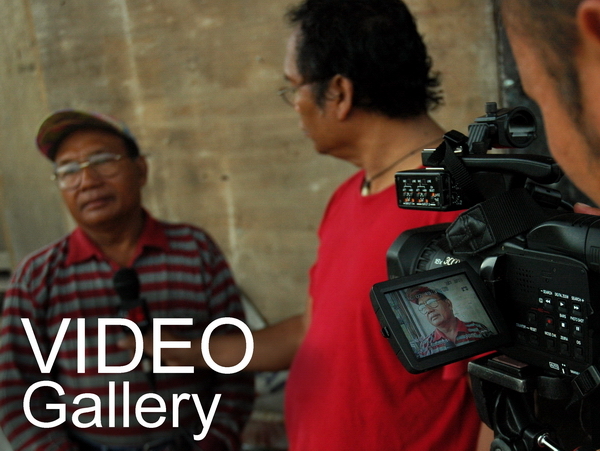 Anybody who has seen Orang Asli swiddens first-hand would not be gullible to the malicious accusations thrown at by people who, in truth, really know better. 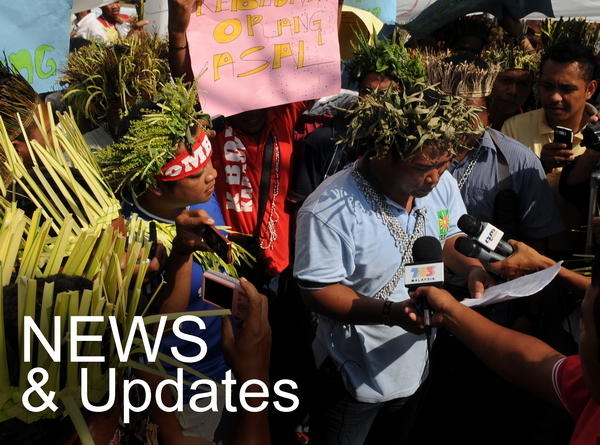 Changing situations today however threaten to disrupt the agricultural cycle of the Orang Asli. Pressures on land, brought about by the loss of their traditional lands to modernisation-related factors, have forced some groups to shorten their swidden cycles. This in turn will have dire consequences on the environment. 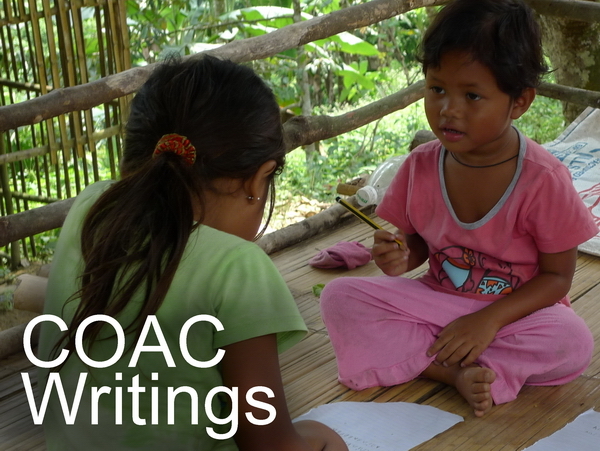 On the other hand, swiddening is also rapidly on the decline among Orang Asli communities. With their increased involvement in the cash economy, many Orang Asli are now finding it economically more efficient to purchase their rice needs rather than to plant it. As such, only those communities in the interior areas still rely on swiddening for their subsistence. The other groups, if they do continue to clear swiddens, do so to a lesser degree for ritual or cultural reasons. But the fact remains that before, and more so today, the Orang Asli have not been responsible for the large-scale deforestation in Peninsular Malaysia. The real culprits are logging activities, agricultural plantations, huge land development schemes, mining activities, development projects (dams, highways) and resort activities (golf courses, tourist complexes). The blame should be shifted here.